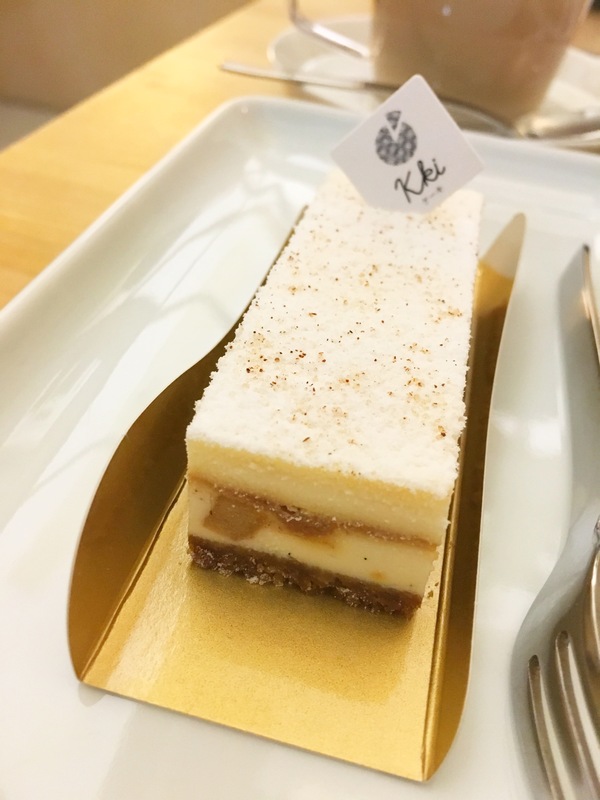 Kki, pronounced as keki means cake. 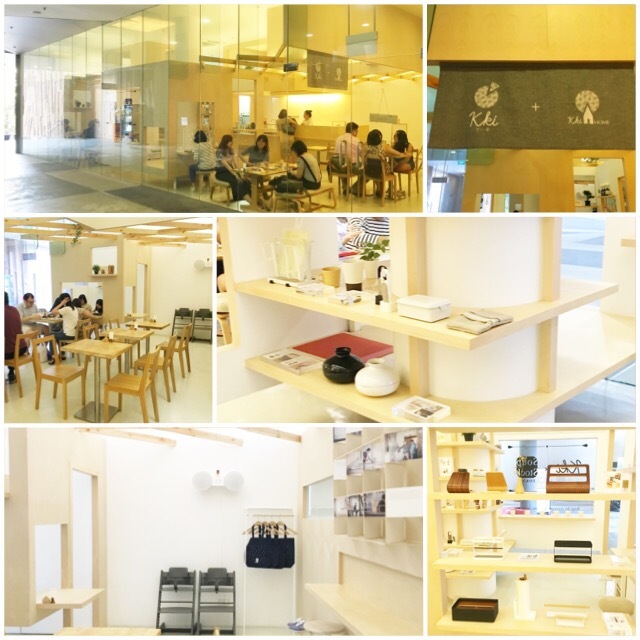 Kki is a popular Japanese styled cafe located at SOTA (School of The Arts). 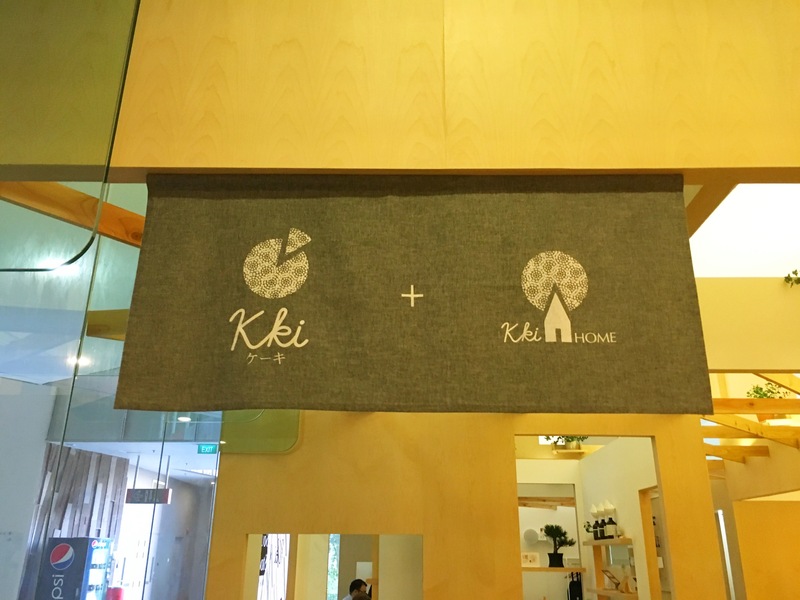 Kki initially started in 2009 at Ann Siang Hill then moved to SOTA in Aug 2014. 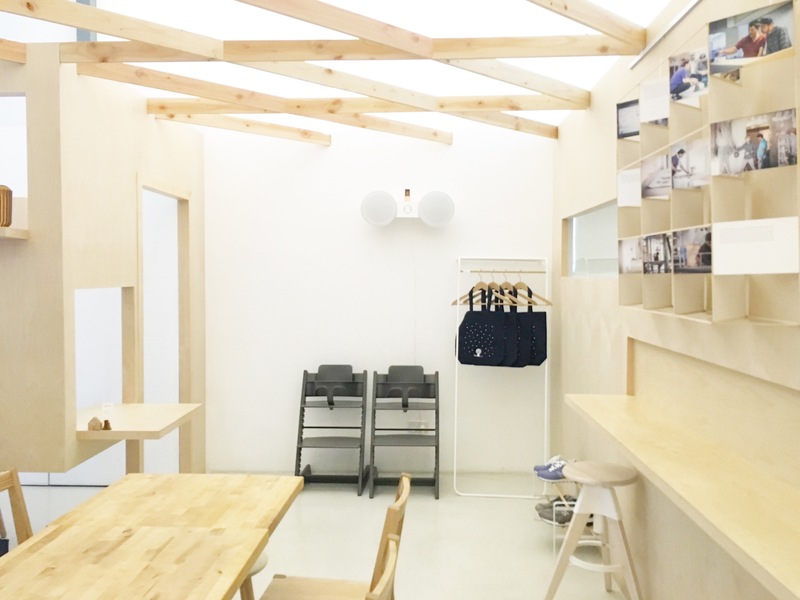 We’ve been to the Ann Siang cafe few years back but that was a much simpler and smaller space. 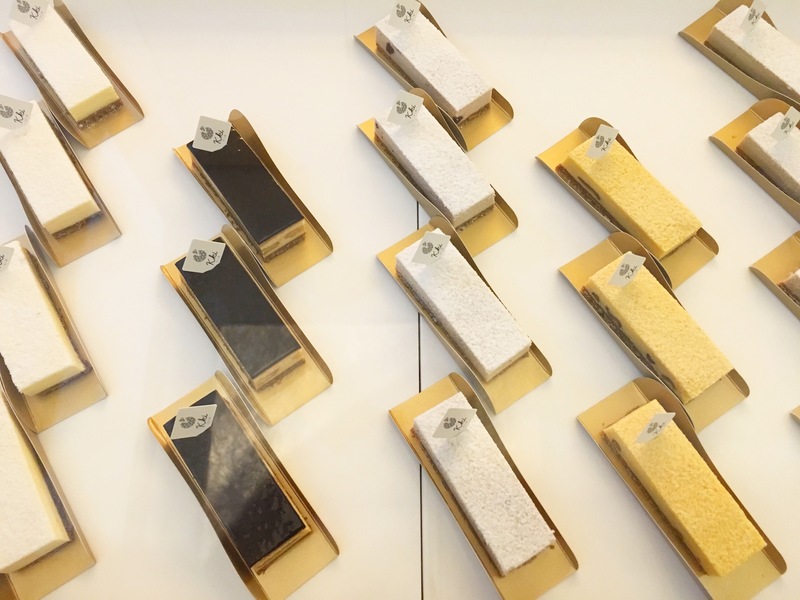 Now Kki sweets is known as Kki Home as they also sell their own line of household products also use to serve their patrons. 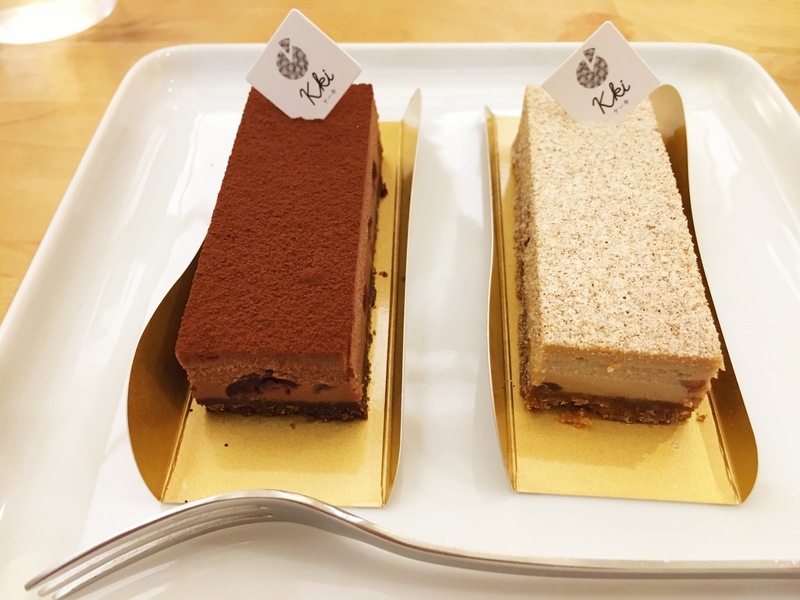 Due to seasonal change, Kki will not have their mousse cakes till Sep 2016. 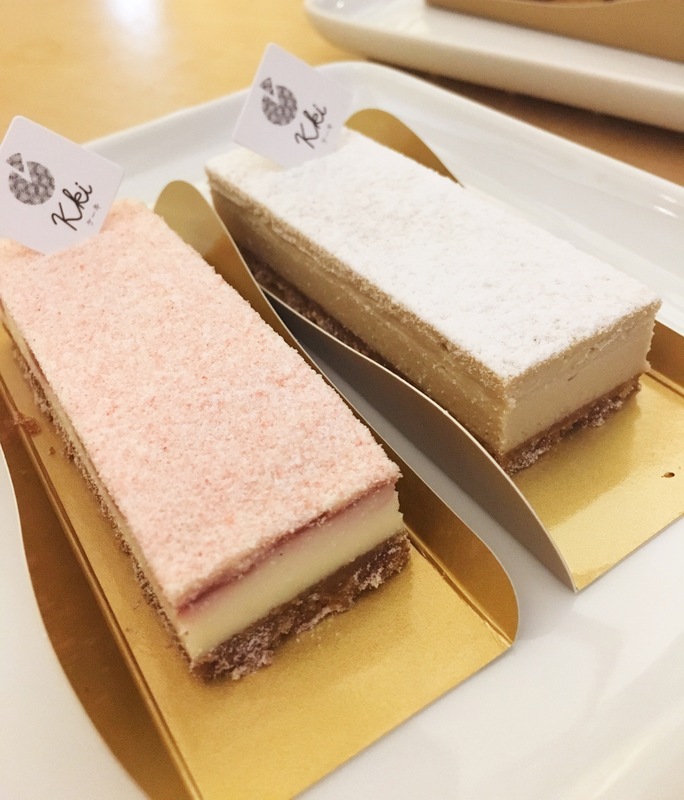 However, their light soufflé cheese cakes are available for order (original, maple, Royal tea, melon, pink peach flavors), call 3 days in advance. Currently, cheesecake bars are available. 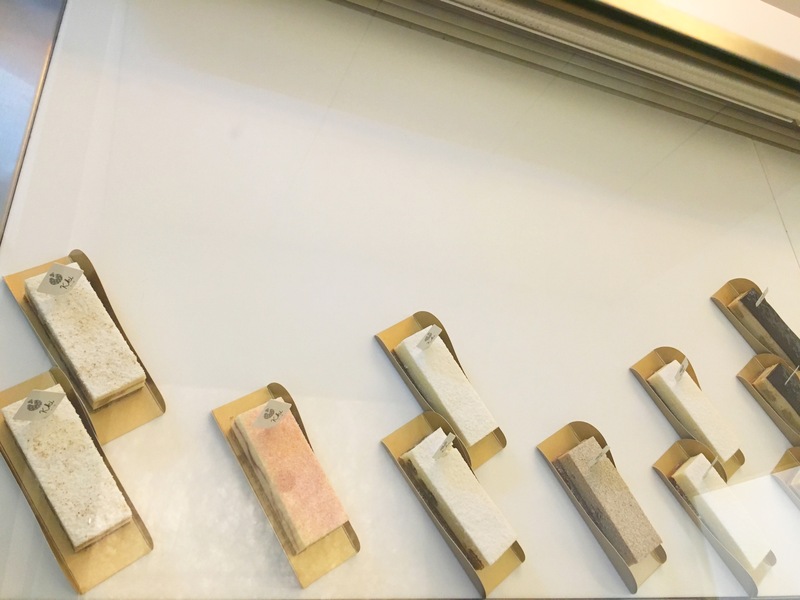 They are fresh, very delicately and lovingly made. Albeit small in size, they are big on taste! Some are priced at $4.80 while the others at $5.80 each bar. They all looked lovely and made us want to try all the flavors! 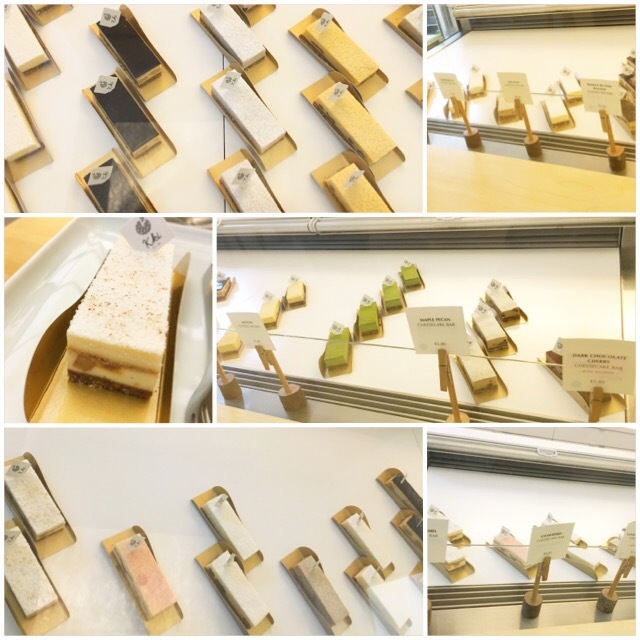 The first few flavors we tried were the dark chocolate kirsch, coffee bacon, apple caramel. The dark chocolate kirsch was full on chocolate flavors and reminded us of blackforest. Coffee bacon was our favorite – the light coffee aroma with the salty bacon bits and creamy cheese, wouldn’t that make a nice breakfast treat with the popularity of all day breakfast? This was such an innovative flavor. Apple caramel reminded us of apple pies but not overly sweet. It was a pleasant fruity bar. 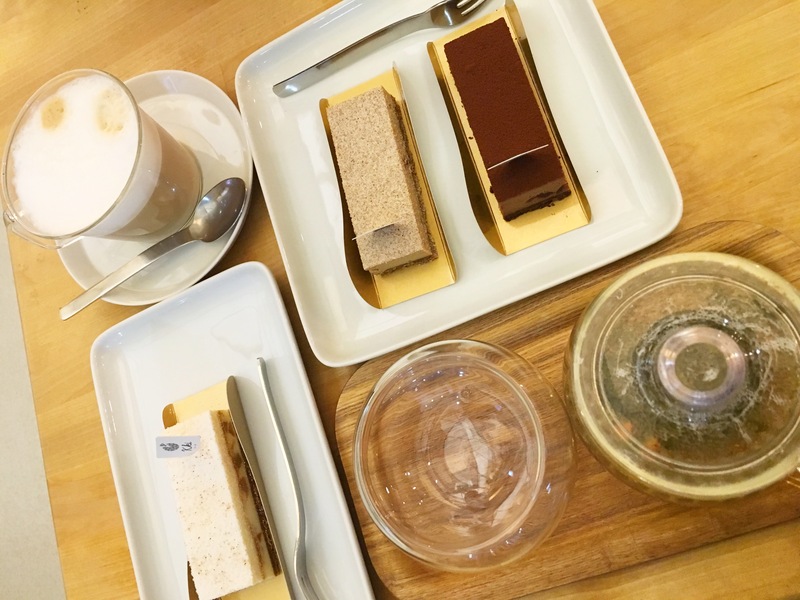 We tried their cuppucino and tsugaru (apple flavored) tea with these 3 slices. And having the above wasn’t enough for us. 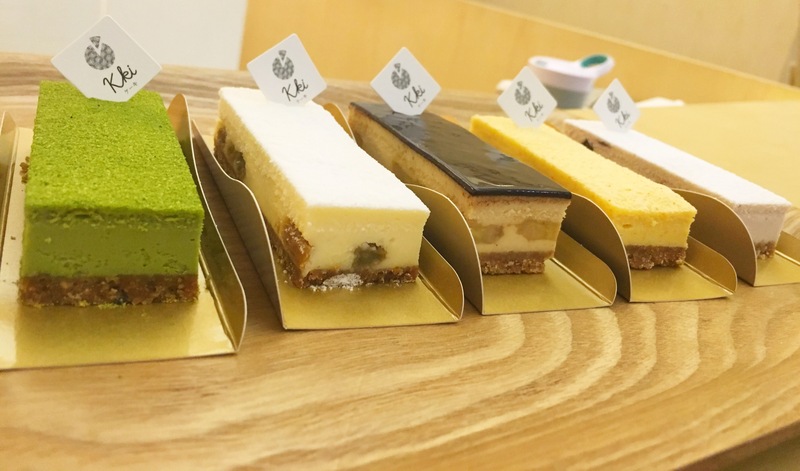 We packed some home – left to right – matcha sesame, vanilla rum raisin, peanut butter banana, curry cashew, blueberry yoghurt. Out of these, the peanut butter banana stood out as the creaminess of the peanut butter with the banana worked wonders. I thought the matcha and sesame worked really well, but some may not like the sesame combination. I’m not a big fan of rum raisin but the huby loved this vanilla rum raisin. Curry cashew was quite interesting. It wasn’t spicy, just the right amount of curry taste, I liked this. Blueberry yoghurt tasted just like the stated flavour, real fruits were added so that was a plus! Kki also serve savory items from Soup Stock, a very popular soup cafe in Japan. Just yesterday, we tried soup stock for the first time. We had their lobster bisque or similar. Though it was a small serving, it was very satisfying and tangy (surprisingly for a lobster bisque). The 2 mini baguettes were warm and toasty and very delicious! 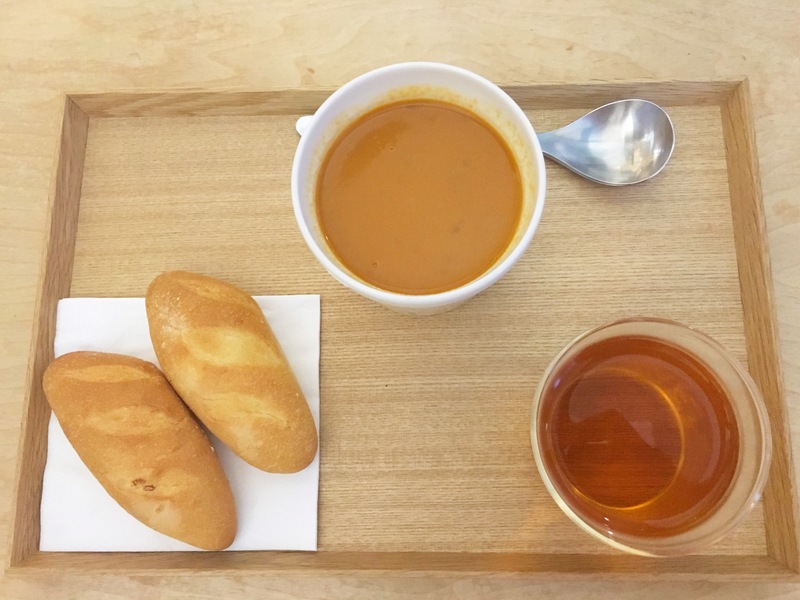 A cup of cold tea was served alongside the soup and baguettes. 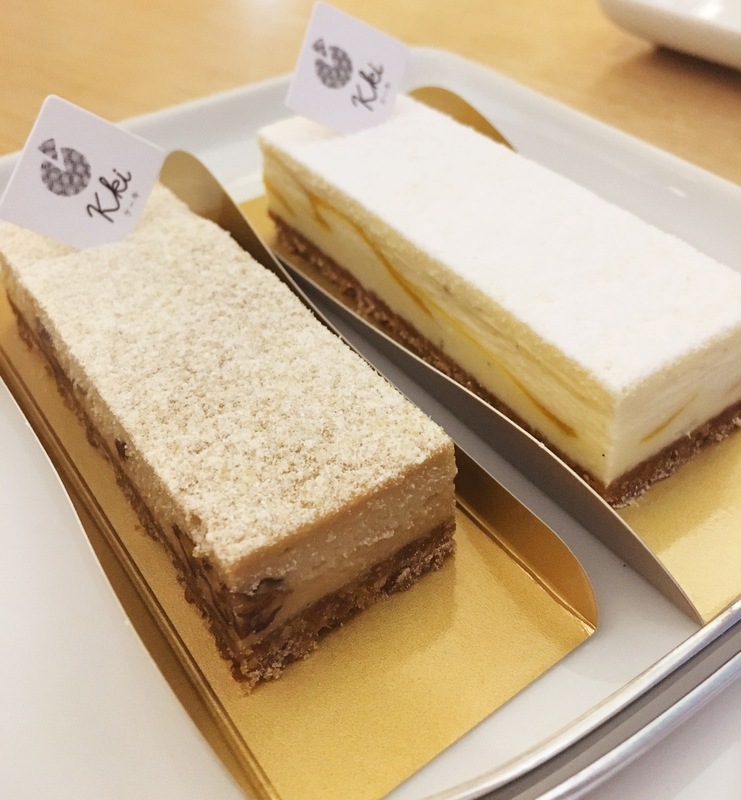 We also tried their remaining cheesecake bars. Strawberry was fragrant and light. Royal tea tasted like earl grey and perhaps the sweetest tasting cakes, so I did not enjoy that. Maple pecan was the star this round – first note was similar to very good caramel/ nutty popcorn and then the creamy maple light cheese goodness and the pecans came through and filled our senses. Mango key lime was another of our favourites, did not taste so much like a cheesecake. It was light and refreshing. 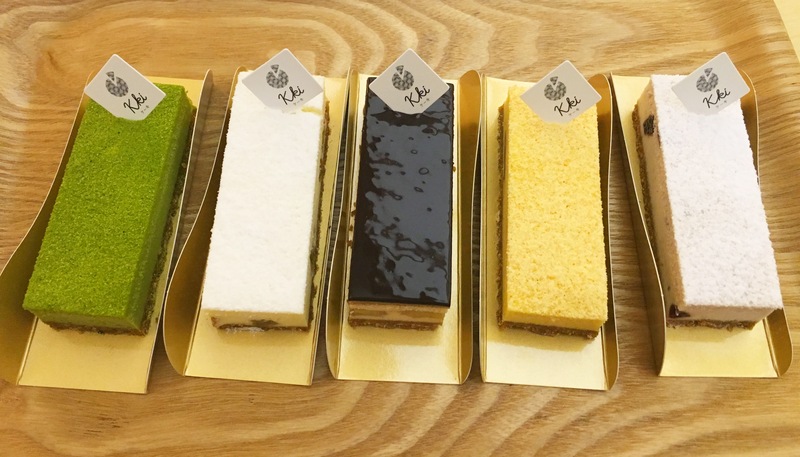 We love Kki, their cakes, coffees, teas, decor, and their homeware for sale! The star bakes for us were the coffee bacon, peanut butter banana, maple pecan and mango key lime.